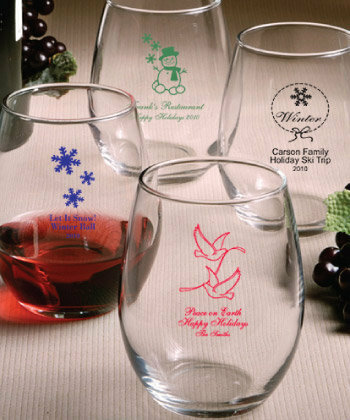 We ordered 80 personalized 9oz stemless wine glasses. The order arrived within two weeks. The glasses looked exactly as expected. All items arrived unbroken. I would definitely use this company again. I am so pleased with my purchase. I ordered personalized wine glasses in rose gold letters and they are amazing, not to mention I received them quickly. Thank you so much. Glasses arrived sooner than expected and they are perfect! Would definitely use nice price favors again! Extremely pleased. Fast shipping and glasses were perfect. Exactly as ordered and packaged well. No breakage.